Top ranked Calvert Hall (23-2) leads the way in the Week 8 VSN Baseball Top 20, which sees the top five, as well as the mid-section of Nos. 8 through No. 15 and No. 20 remain intact in this week. With the private and state public schools tournaments getting underway this past week, some 14 of the 20 ranked teams stayed in place, but streaking Archbishop Curley has stolen the headlines by bursting back into the rankings at No. 18. The sixth seeded Friars (15-12) of coach Brooks Norris have reeled off three in a row, including a 10-inning, 3-2 upset of third seeded and 8th ranked Gilman (22-10) in the first round of the MIAA A Conference double-elimination tournament. Curley has really come on at nitty gritty time winning six of its last eight games and emerging as a very dangerous team in the post season. No. 2 ranked Archbishop Spalding (20-6) hopes to extinguish the fire of the Friars today (Monday, May 15) in an A Conference winners bracket game in Severn. This is not the same Curley team that the Cavaliers, who are seeking a fourth consecutive A Conference crown, have beaten twice this season by scores of 8-6 and 6-1. The Friars are playing up to their winning tradition, not like the 2016 team that won only one game in the tournament and finished 10-12 overall. Calvert Hall copped the top seed in the A Conference and after drawing a first round bye, will open today versus its arch-rival in all of the sports – the Loyola Dons (10-13). The Hall swept the fourth-seeded Dons in the regular season, the last meeting by 13-0. Spalding remains No. 2 while Severna Park (19-2) stayed at No. 3 after taking the Anne Arundel County Championship game by 3-2 over No. 4 Chesapeake-AA (16-3). Those two teams are serious contenders in their respective Class 4A and 3A state tournaments that should gear up with no rain in the forecast and No. 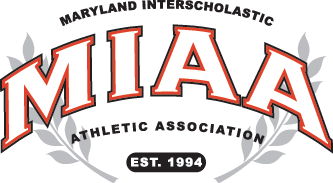 5 Patterson Mill (18-2) ranks with St. Michael’s (19-2) of the Eastern shore as the Class 1A frontrunners. No. 9 Marriotts Ridge (16-3), one of the 7 teams staying put in the VSN Top 20 mid-section is a strong contender in the State 2A tournament with No. 15 Century (15-3) a dark-horse. Bel Air (13-6) begins defense of its Class 4A State championship when the Bobcats host Kenwood (11-4) today. No. 16 C. Milton Wright (15-7) looks to make some noise in the 3A North region while No. 17 North East – Cecil (15-2) looks to make a run to the final four out of the 2A East. No. 19 Westminster (11-7) fell from No. 16 after taking an early exit in the 3A West regional losing by 9-2 to Oakdale. Boys’ Latin (18-5) took the top seed in the MIAA B Conference tournament and celebrated by winning three straight last week. Remaining No. 20, the Lakers drew a bye and will open tomorrow at home vs. today’s Annapolis Area Christian School/Pallotti survivor.